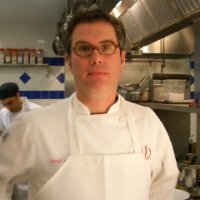 There are few NJ chefs whose food I relish more than that of David Drake. He first came to prominence at the Stage House and later earned my further respect at his eponymous Rahway fine-dining restaurant and then at the first iteration of Daryl Wine Bar in New Brunswick. So I and my husband scooped up an invitation from Gray and his team to host us and another foodie couple at Greene Hook. The evening actually commenced at Light Horse, where Drake presented us with a sampling of the menu’s elevated American fare. 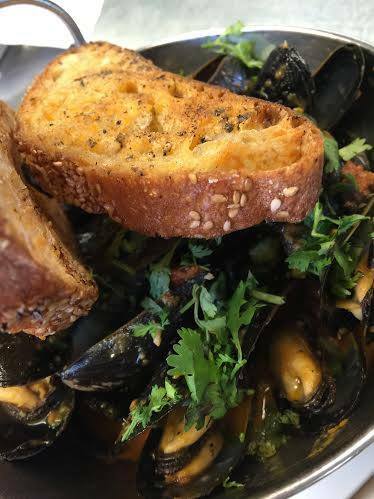 Among the standouts: steamed mussels, a dish that’s always welcome, yet also ubiquitous and difficult to make distinctive. But Drake, who applies his precise, classical training to everything at both restaurants, manages to accomplish just that via a lively tomato-based broth that includes nubs of excellent chorizo and Brooklyn Lager. We couldn’t stop dipping the delicious toast into it. 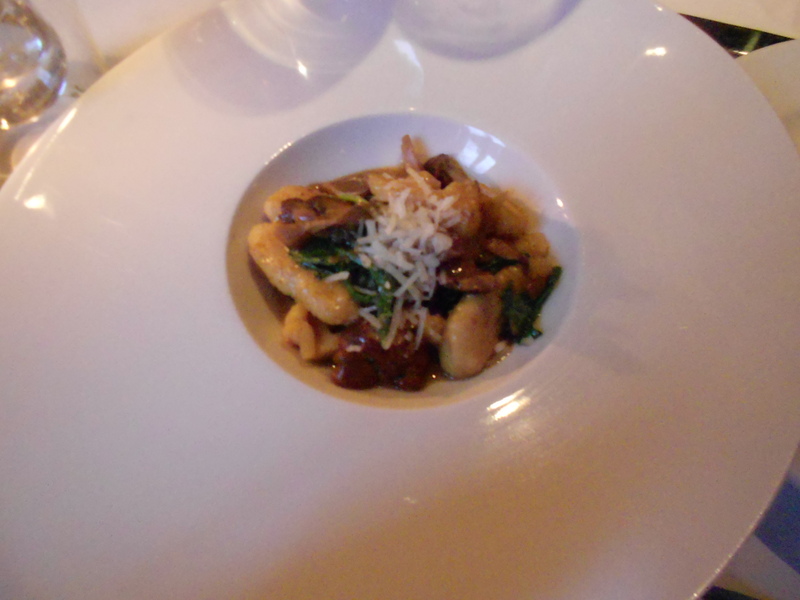 Unlike steamed mussels, potato gnocchi is a dish I rarely enjoy. I’ve downed too many gluey plugs in my time. At Light Horse they’re airy and springy, their potato flavor rounded out with Parmesan, sussed out by pan-searing, and further accentuated with roasted chanterelles, cauliflower, and arugula in a mushroom broth to which Drake adds a few drops of soy sauce. Earthy and light at the same time. Owner Bill Gray himself escorted us from the tavern to Greene Hook, a short walk away. We were tickled to see that Drake had, meantime, ensconced himself in that restaurant’s open kitchen. (He told us he has made the trip as many as 10 times in 1 day.) A recent addition to the kitchen team is Joe Beninato, who came over from another restaurant I held high regard for: the recently shuttered Ursino in Union. Greene Hook’s menu is more casual than its sibling (although at Light Horse you can get a burger, meatloaf, and fish & chips). 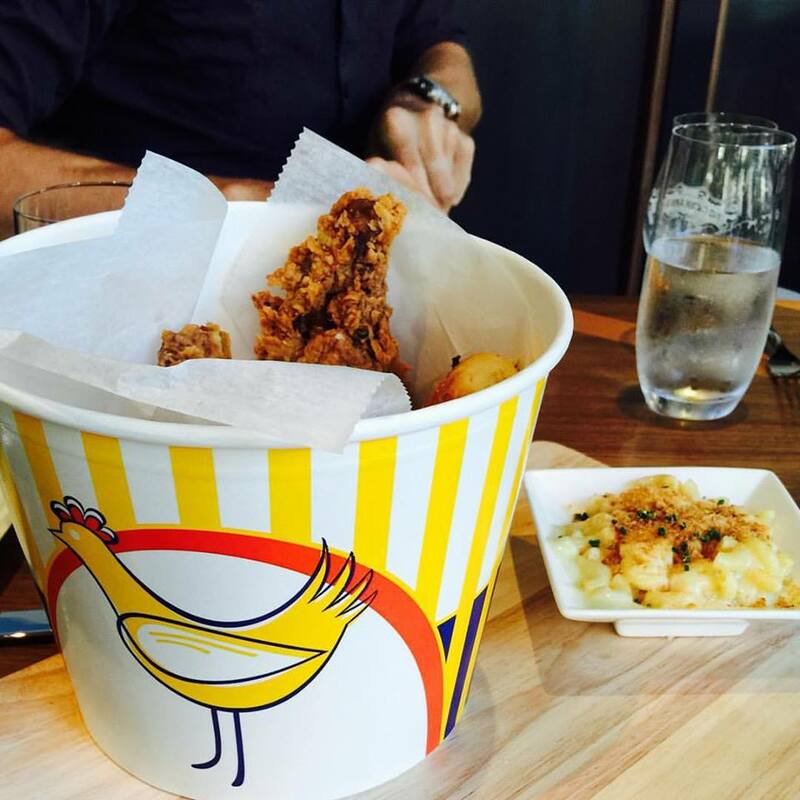 Already, Greene Hook’s bucket of fried chicken with mac n’ cheese and jalapeno biscuits ($16 per serving for one; $26 for two) has accumulated a substantial following. The chicken is given the full David Drake treatment: soaked first in buttermilk then cooked sous vide for hours. of four jumbo specimens, beautifully seared to intense sweetness. 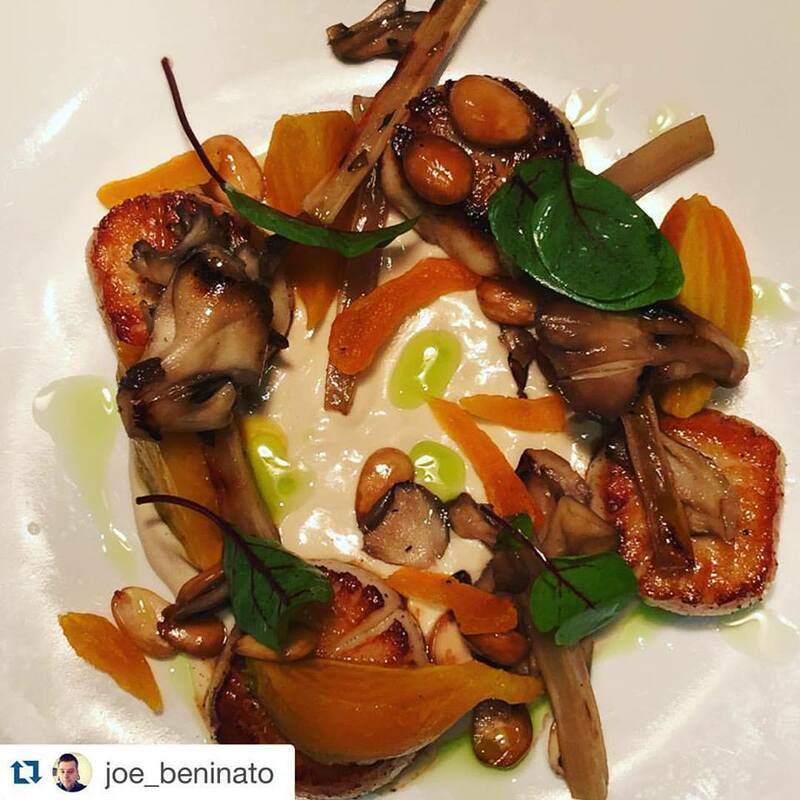 With seared maitake, baby golden beets, dried apricot, and salsify, it, too, shows Drake’s finesse. (Plea to chefs everywhere: please deploy salsify, my favorite root vegetable, more.) Textbook-perfect Marcona almond cream sauce makes the dish especially memorable. I should note that both Light Horse Tavern and Greene Hook Bar + Kitchen have different but appealing cocktail, beer, and wine offerings and each has a different ambiance. Bill Gray, a former carpenter and civil engineer, personally designed and executed much of the decor. 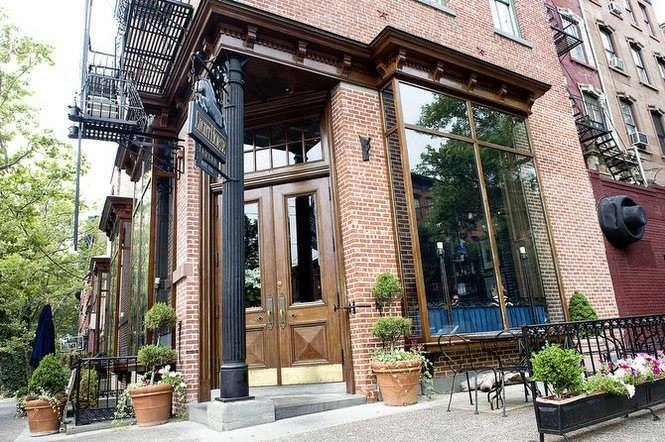 He sensitively and beautifully restored the historic building that houses Light Horse Tavern. 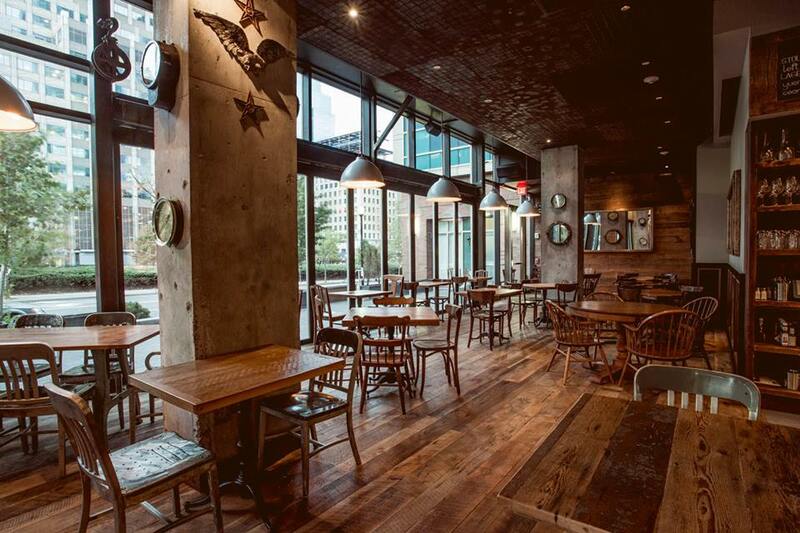 Greene Hook is in a new space (with high-rise apartments above and all around) that combines hand-crafted rustic features – including much reclaimed wood – with modern industrial touches. I suspect that the bar/kitchen’s younger clientele neither know nor care that there’s an expert fine-dining chef pumping out their bucket of fried chicken. As for me, I’m delighted to have Drake’s fare once again near at hand. Nine-month old Liberty Hall Pizza figures it will be baking its 30,000th artisanal Neapolitan pizza sometime in the coming days (October 30th is their best guess, so you’ll have to hurry), and just like in those old movies and 195o’s sitcoms, the lucky patron who purchases it for dine-in or takeout will win 1 pizza per week for 30 weeks. 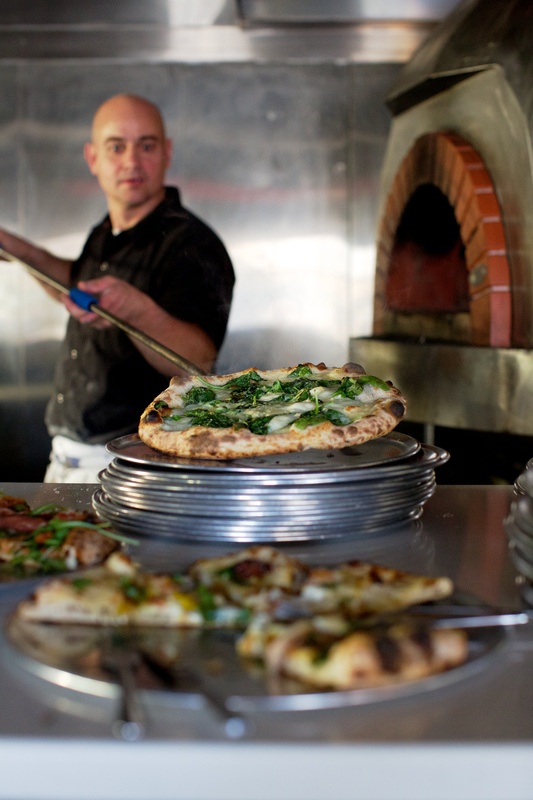 Chris Bryan, an alumnus of Nomad Pizza, is pizzaiolo and co-owner with Danny Popkin. The latter has rehabbed the cool old industrial building just outside of downtown that also houses Rojo’s Roastery. 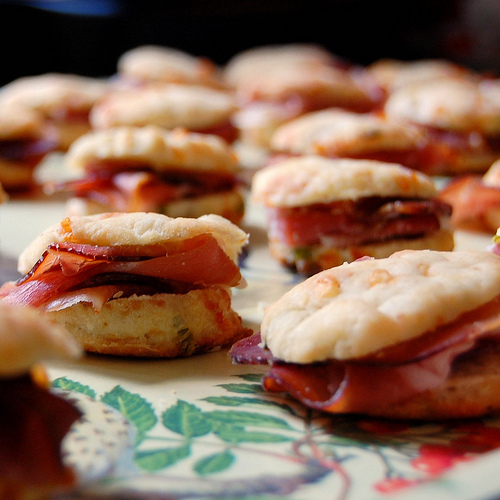 I recently profiled Liberty Hall, a byob, here in the Fall Dining Issue of US 1. The excellent pizzas are baked in a wood-fired Valoriani oven and the menu also boasts fresh salads and Victory draught root beer. 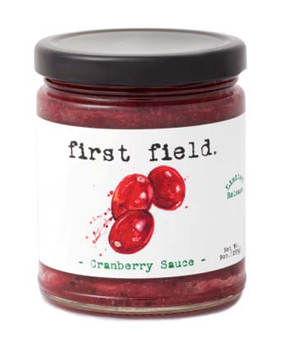 This Thanksgiving if you’re not making your own cranberry sauce, why not buy one that’s made with whole dry-harvested cranberries from independent growers in New Jersey? It’s from the folks at First Field, who flavor it with orange and vanilla. You can find it at Whole Foods markets around the state, at some retailers in the Princeton area, and at www.first-field.com where it’s $8.99 for a 10-ounce jar. This entry was posted in Events, Favorite Finds, Restaurants and tagged Bill Gray, Brooklyn Lager, Chris Bryan, Danny Popkin, David Drake, First Field cranberry sauce, Greene Hook, Joe Beninato, Liberty Hall Pizza, Light Horse Tavern, NJ cranberry sauce, Rojo's Roastery, Victory draught root beer. Bookmark the permalink.